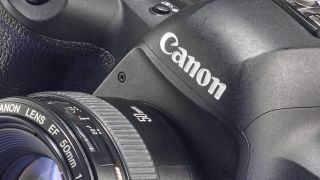 Japanese website Nokishita has discovered that Canon has registered no less than five new cameras online, and with the camera industry's largest trade show, Photokina, just a couple of months away, we could see some of them pretty soon. We don't know the specs yet, but it's believed that two of the new cameras will be DSLRs, with the other three being new mirrorless models. Taking a look at the DSLRs first, they have the working names of K436 and K437. It's reported that the K436 will use the same battery as the EOS 77D, which leads us to speculate that we could see a replacement for the EOS 80D, which was launched back in February 2016. The K437, meanwhile, uses the same battery as the EOS 5D Mark IV, and while that camera is less than two years old it's been overshadowed since it launched by the brilliant Nikon D850 and Sony Alpha A7R III – so we think this means we could see a replacement for Canon's top-flight full-frame DSLR. It could, perhaps, be the EOS 5D X, featuring the new and improved 50MP sensor that we've seen in the EOS 5DS, but with a much improved ISO performance, while the camera could build on the impressive all-round performance of the EOS 5D Mark IV. This would consolidate Canon's two high-end DSLRs into a single, multi-purpose camera that offers a high pixel count and high performance to rival the D850 and Alpha A7R III. The three other cameras have been registered as K424, K433 and EC811. We don't know much else about these models, although we think the EC811 model could be Canon's new and much anticipated full-frame mirrorless camera. We understand that this is already out in the wild and being tested by a select group of professional photographers, as Canon is keen to get its first full-frame mirrorless camera 'right'. The big question at the moment is what lens mount Canon will opt for. Will it use its very well established EF mount, making the transition easy for existing photographers, or take advantage of the shorter flange distance enabled by a mirrorless design (the distance between the rear element of the lens and the sensor) and engineer a completely new lens mount? The downside of the latter option is that it would have to develop a new range of lenses to accompany the camera. Whether we'll see all of these cameras announced at or before Photokina remains to be seen. Canon tends to announce its higher-end models in the second half of the year, so some of these cameras might not break cover until the early part of 2019.